For almost a decade, beloved storyteller E. Lynn Harris has welcomed you into his family with his passionate, warm and trail-blazing novels. Now, he invites you into the most intimate world ever--his own. Since his first book "Invisible Life" was published in the early 1990s, "New York Times "bestselling author E. Lynn Harris has wowed, charmed and romanced millions of readers. As a master storyteller, E. Lynn Harris has created an intimate and glamorous world centered around his signature themes of love, friendship and family. People all over the world have fallen in love with his characters and laughed and cried with them. 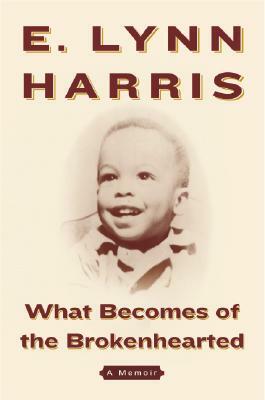 Now, in his most daring act yet, E. Lynn Harris writes the memoir of his life-from his childhood in Arkansas as a closeted gay boy through his struggling days as a self-published author to his rise as a "New York Times "bestselling author. In "What Becomes of the Brokenhearted," E. Lynn Harris shares an extraordinary life touched by loneliness and depression, but more important, he reveals the triumphant life of a small-town dreamer who was able through writing to make his dreams-and more-come true. Keywords: MEMOIR. AUTOBIOGRAPHY. AFRICAN-AMERICAN. GAY. DEPRESSION.